UNBEATABLE RINO LOCATIONâ¦LIVE IN THE HIPPEST NEIGHBORHOOD IN THE CITY! Walk to everything. Enjoy the lively restaurant, gallery, studio scene and then come home to your tranquil oasis . This is a super special property! 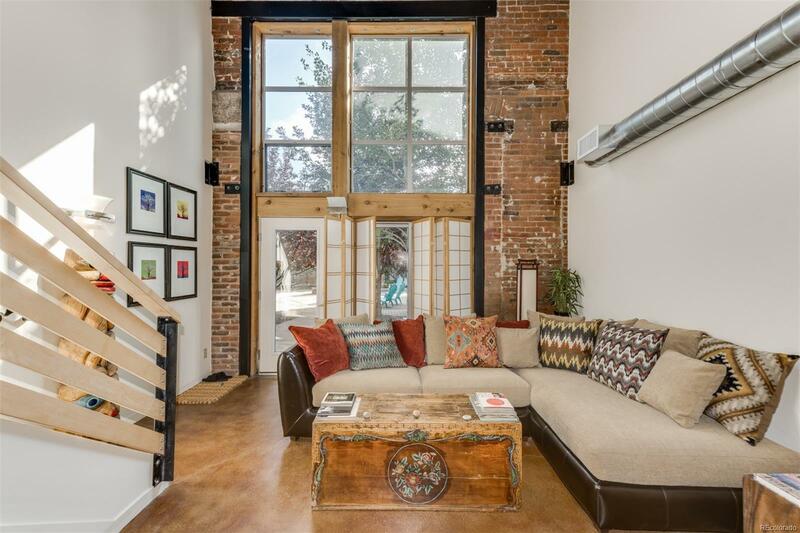 Awesome, historic, 2-story loft at Rail Yard lofts. LIKE NEW! Original model unit that has hardly been lived in. Can be used as live/work space. Lives like a townhome with your front door opening to the common area landscaped courtyard - an oasis in the city! Exposed brick, concrete floors, wood and metal timbers - this one is show stopper! 2 -story living room with floor to ceiling industrial windows, kitchen with solid surface countertops and stainless steel appliances that have rarely been used. Master suite with walk in closet and private bath. Main floor powder room is perfect for guests! Includes parking space. LOW HOA dues.